I just came back from a business trip to Japan. 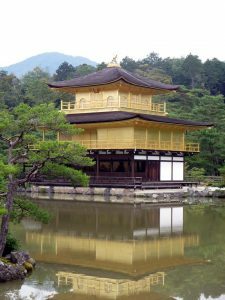 I have been to Japan many times over the past 27 years. I personally love Japan being a rail enthusiast. Trains go everywhere. They are also pretty much a requirement as a foreign tourist to get around most of the major cities in Japan. I do plan on adding a Tourist By Transit section on the most complex city in japan, if the world, in using public transit. That would be Tokyo. So this is a just a foreshadowing of what is to come. The Tokyo-Yokohama area has about 20 million people and spreads over a vast area of what is called the Kanto plain. The trains an an integral part of daily life in the region, and would be for the tourist as well. But it is overwhelming, even for the Japanese. 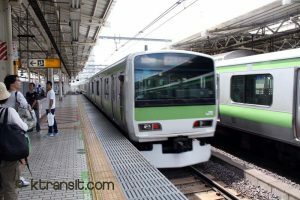 There are 2 subway systems in Tokyo, many private commuter railways, the JR Line, monorails, automated guideway transit, and trams, and of course the world famous Shinkansen or Bullet trains. There is no single unlimited transit pass you can buy that will get you to ride all the lines available for 1 day or 1 week. Passes are available for various combinations, but not the whole enchilada. But on the item that does work for all the lines, except the Shinkansen, is pay-as-you-go IC-Cards. IC-cards are basically like the IC-Ship credit cards that many of us now have. You load the cards with money and then tap on/off the trains, or just tap on the trams, and buses. They can also be used to rent lockers at train stations, buy items at stores at train stations, and often times at stores and restaurants around Tokyo. In the Tokyo region there are 2, PASMO or SUICA. 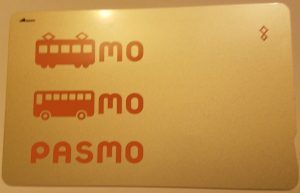 They can also be used in many other cities, like Osaka/Kyoto region has a Manaca card, which can be used in Tokyo, like a PASMO card can be used Osaka. It has made the need to buy a ticket for every journey a thing of the past. The initial purchase of the IC-CARD coast about 500Y, or about $5.00, but for the convenience it is money well spent and can be reused over and over again. I have cards that are 4 years old that are still usable. When using the card at the turnstiles it will tell you the amount of money on the card, and when exiting it will tell you the fare paid and the amount remaining. It does all the transfers costs automatically. Not need to figure out a fare when transferring between subway systems, or private railways any more, it is done for you. So that is one nightmare averted. If you do intend to do a lot of riding getting around town, there are various passes available, but that is for a future post. Now the other part of the nightmare of getting around. The system is complex. There does not appear to be a perfect map. Inside the Yamanote Ring, the subway map is your best bet. If you plan ahead you can get trip directions using Hyperdia.com. Luckily Tokyo is starting to prepare for the 2020 Olympics. Japan is making a very concerted effort to make it easier for foreigners. English signage is getting better each time I visit. There are more English maps and guides around Tokyo. During this last visit I found that most all the of the private railways as well as the subways have much improved their websites for foreigners. They all have an English section, and most have other languages as well. Tokyo is quickly becoming less daunting for the foreigner. It is still can be stressful, but so is visiting London or Prague. Be on the watch for more information on Tokyo. But if you have questions in the meantime feel free to contact me. ← What is fearful about using Public Transport? What is fearful about using Public Transport?